How can you make most of your Napa Valley tour? Napa Valley is one of California’s most sought-after travel destinations. At every turn, everything you see is breathtaking and spectacular including the picturesque rolling hills dotted with vineyards that bear precious grapes. Wineries, big or small, can be seen everywhere. Napa Valley offers plenty of beautiful and awe-inspiring scenery to be enjoyed by tourists, like you, who flock there. And you will never run out of things to do there, either! But how can you best enjoy Napa Valley while you’re there? There are many ways to make the most out of the fun, adventure, and the sense of oneness with nature while you’re in the Napa. Go to a hilltop winery and get breathtaking views of the vineyards. Take a winery tour. Go bicycling along Napa’s picturesque hillsides. Dine at the region’s numerous restaurants, cafes, and delis. Go and buy freshly picked produce and fruit at the farmer’s market. Attend music and food festivals. There are endless things to do in Napa Valley. One thing that you shouldn’t forget to do while you are there is to have an otherworldly view of the region from above by taking a hot air balloon ride in the crisp, calm sunrise. 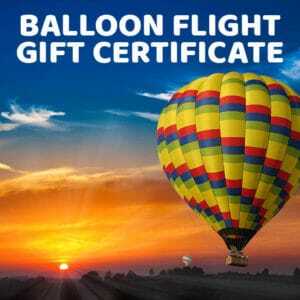 What company can provide you this one-of-a-kind experience better than Balloons Above the Valley? We offer exciting hot air balloon and wine tour packages. We guarantee you quality service and a unique experience that will delight your senses. It starts with awesome hot air balloon sightseeing and ends with our yummy and satisfying post-flight gourmet brunches. Tempted? Well, of course we cannot ask you to leave for the hot air balloon ride hungry. We also serve pre-flight breakfast plus a mimosa drink (depending on the package). You will have the ride of a lifetime in our hot air balloons. They will allow you to view the spectacular Napa landscape, with neat rows of grapevines, pretty clusters of trees, and the overall breathtaking colors that Mother Nature offers. You will feel the sense of tranquility, a perfect escape from the mad rush of activity down on the Napa grounds. You’re flying in the sky, and everything feels so ethereal. Afterwards, there’s the delicious post-flight champagne brunch awaiting you. This is the opportunity to reminisce with your friends about that amazing hot air balloon flight you’ve just experienced. Balloons Above the Valley also offers packages that include tours of wineries in Napa and Sonoma, some wine tasting, delish picnic-style lunches, and transportation services. If you don’t wish to ride on the hot air balloon, there’s also a Chase and Brunch option where you will follow your airborne friends, from the ground, along with our staff. A hot air balloon flight is one of the must-do activities while you’re in Napa that you surely won’t forget. When you are ready for your first hot air balloon flight, choose Balloons Above the Valley. The warm hospitality of our staff and top quality service will make the whole Napa Valley tour experience even more unforgettable.